Add a touch of the elegant class and simplistic beauty of Grecian design to your home with this set of 4 white miniature succulent planters. 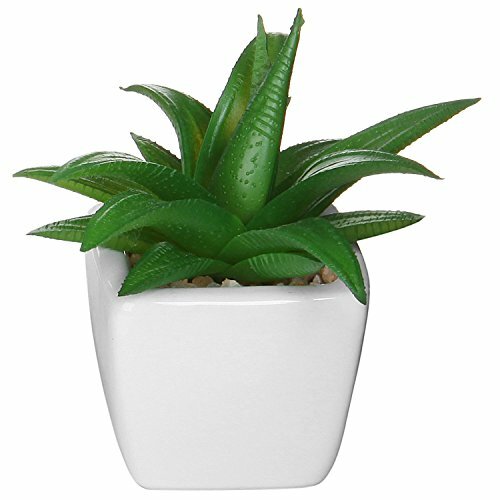 These sleek ceramic planters are ideal for bringing a modern shine to your home decor as well as a touch of constant greenery. 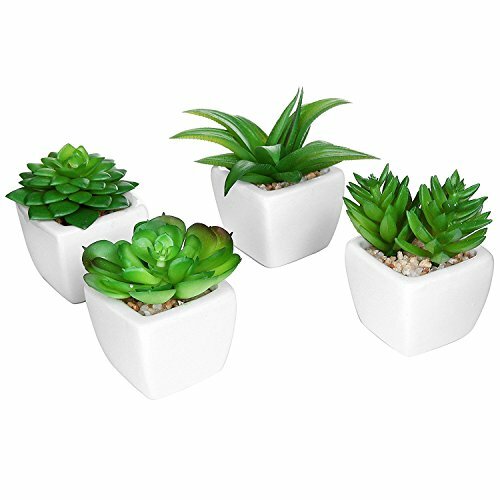 The set contains 4 individual matching square pots which each contain a unique and realistic artificial succulent plant. They can be scattered throughout the house for a variety of purposes or can be kept together for a unified display. Bring Grecian simplistic elegance to any tabletop surface in your home with these artistic planters. 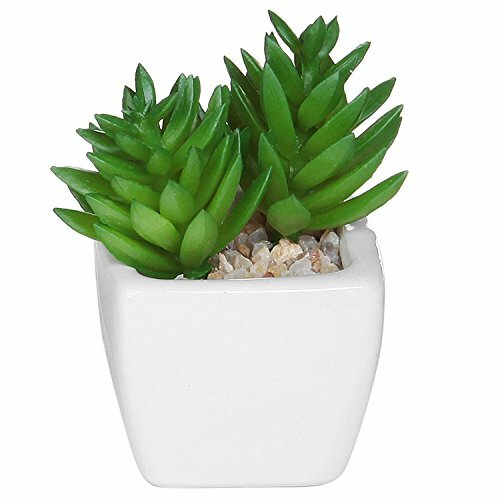 Add a touch of the elegant class and simplistic beauty of Grecian design to your home with this set of 4 white ceramic miniature artificial succulent plant pots. 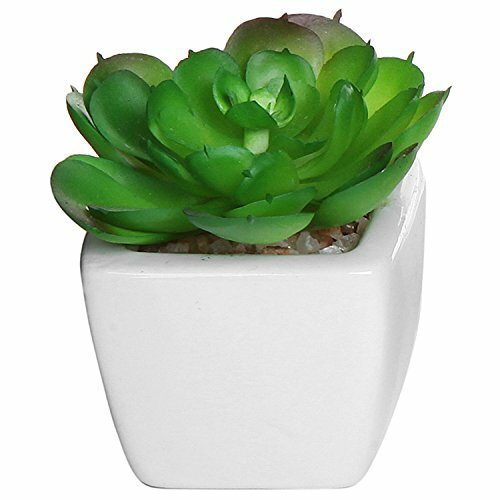 Each matching pot contains its own individual vibrant and realistic artificial succulent plant and is made out of sleek white ceramic material. 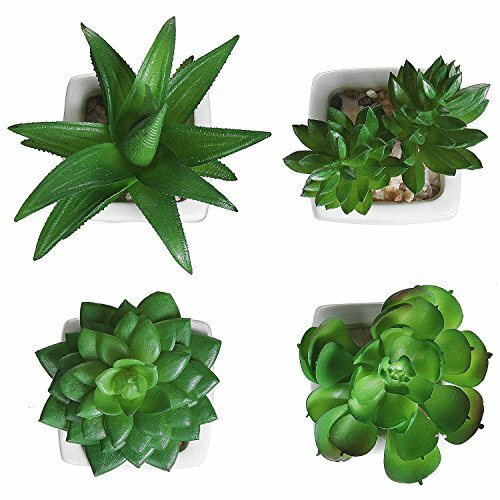 Artificial succulent plants are perfect garden decorations with zero maintenance.